England Hockey is delighted to confirm the appointment of Mark Hager as the new Head Coach of the Great Britain and England women’s hockey teams. Mark comes to Bisham Abbey with a wealth of experience in international hockey, both as a coach and player. 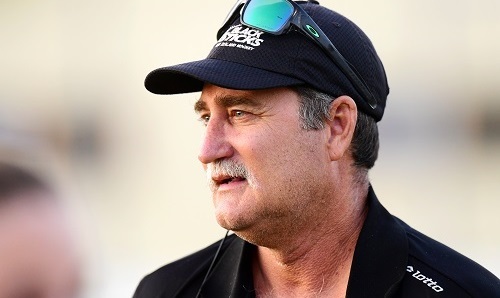 As coach of New Zealand’s international women’s team for almost a decade, he has taken them as high as fourth in the FIH world rankings, won gold at the 2018 Commonwealth Games and finished fourth at both London 2012 and Rio 2016 – the team’s best ever finishes at Olympic Games. Other coaching achievements include winning the Hockey India League with Kalinga Lancers in 2017, assisting Australia’s men to an Olympic bronze in Beijing, and also assisting Australia’s women to Champions Trophy gold in 2003. As a player, he was captain of the Australia team that won Olympic bronze in Atlanta in 1996, having won the World Cup with his nation ten years earlier in London. He is an inductee to the Hockey Australia Hall of Fame and won their national league three times, two of them as captain of Perth Thundersticks. GB and England Hockey Performance Director Ed Barney said, “We are delighted that Mark is joining us. He was the outstanding candidate, a world class coach who will bring leadership skills and specific on-pitch strengths which will aid the women’s programme in their quest for future medals. With his arrival we are certain we will see the evolution of an exciting and dynamic brand of hockey over the coming months and years. “This is a key appointment for us, which is why we have dedicated a large amount of time to the recruitment process. We have involved a number of people throughout the hockey world and were left with no doubt about Mark’s personal attributes, the quality of his work and that he was the ideal Head Coach for our programme. “2019 is an exciting year for Mark, our staff and athletes, with the new FIH Pro League, Olympic qualification and the EuroHockey Championships. We are certain Mark will hit the ground running, thrive amongst the squad and lead the programme to exciting and memorable places. Mark is scheduled to meet up with the Great Britain women’s squad for the first time when they play their opening FIH Pro League games in February, away to New Zealand, Australia and then China. The women’s FIH Pro League runs from February until June 2019, leading up to Olympic qualifiers in the autumn. In between, England take part in the EuroHockey Championships in Belgium, making 2019 a key year for the sport.